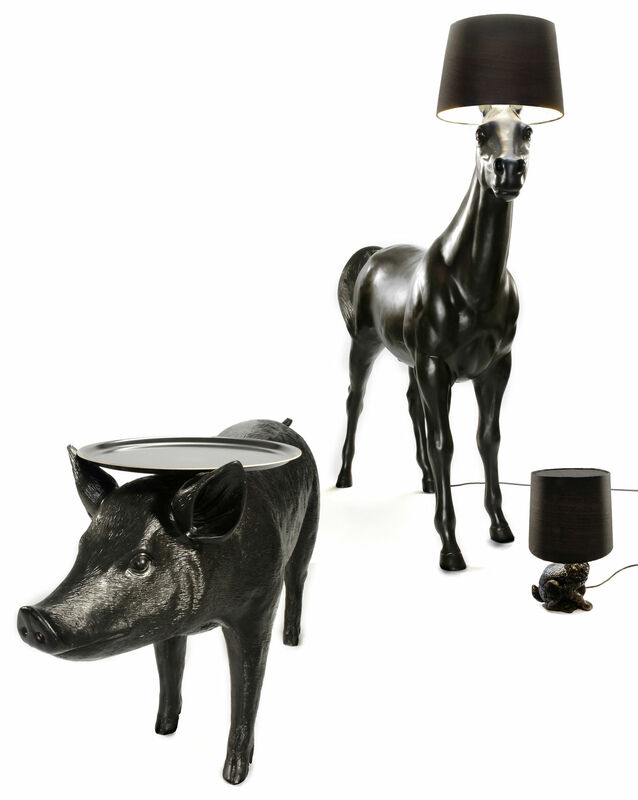 Horse lamp, by Front swedish designers for Moooi. 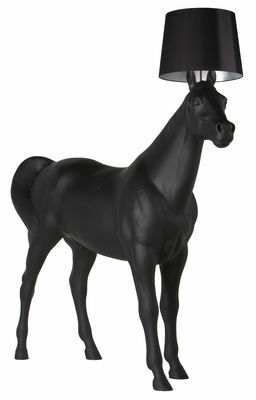 Lifesize horse used as a lamp support, and made of black polyester to enhance each detail of the animal. 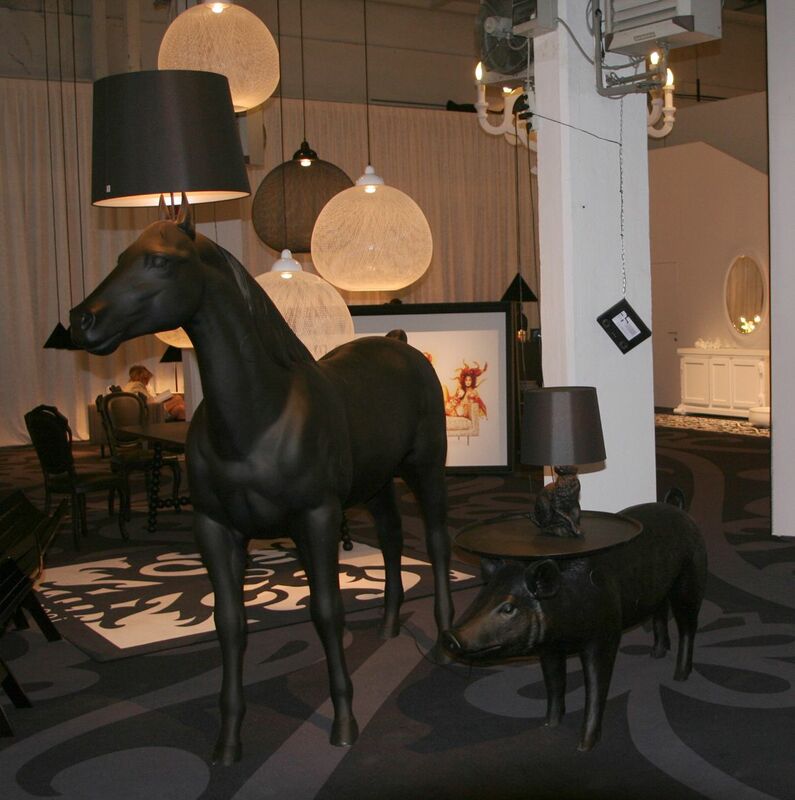 Great success at Milan in 2006, this nearly 2 meters high floor lamp creates a very animal atmosphere in your home.